Hairstyles and color are one of the most popular ways to express yourself. With hair color technology increasing, you can choose between a myriad of colors that flatter your appearance and make you feel confident. And because hair color technology is increasing, hair color trends come and go with each season. Spring is no exception. While spring is famous for bringing bright and lighter colors, more factors (such as ethnicity and style) affect this trend. Do you want black hair that’s blacker than Morticia Adams’ mane? Or do you desire that silvery-blonde shade you see all over Instagram? Here are the best hair colors for spring 2019. For spring 2019, some hair colors reign more than others. If you’re looking for a new spring ‘do, use these trending hair colors as inspiration. Do you love the orangish shade of honey but don’t want your hair to look too brassy? Mix it up with the reddish-blondish hue of strawberry blonde. This color is called Strawberry Honey and it’s perfect for strawberry blondes who want more definition. This color starts with a strawberry blonde at the roots and mixes golden honey highlights. You can opt for honey lowlight or highlights, or even take this look to an ombre or balayage. There’s no reason for women to feel ashamed about their grays! Silver hair, specifically ashy silver, is in. This trend proves that silver hair is beautiful, no matter your age. If you have natural grays, let those babies grow out! But not all grays are the same. Some have white and silver grays. Others have darker gray hair. If you want to add highlights or lowlights to give your gray hair more oomph, ask your stylist their recommendation. If your grays haven’t come in yet, ask your stylist about dyeing your hair that trendy ashy gray shade. It may take some bleaching and maintenance to keep your hair from turning orange. Have you ever stared at the color of a mushroom and thought to yourself, “I want that color on my hair!” More than likely not, right? That’s until you see how beautiful it looks. Many people are calling “mushroom brown” the hair color of spring 2019. Unlike traditional shades of brown hair, mushroom brown consists of different dimensions. No mushroom is one color — they vary from rich brown to ashy light brown and even copper brown. You can easily take these shades and create different dimensions. You can create a look with lowlights, highlights, a balayage or am ombre. Do you love red hair but don’t want to transform into Ariel from The Little Mermaid? Opt for copper. Copper is a perfect mix of brown and red. Copper encompasses many different hair colors, from deep auburn to fiery red. In addition, copper hair stands out more when adding a touch of cinnamon or maroon. Which copper shade is perfect for spring 2019? If you have light hair and fair skin, make your copper hair opt for classic brown with red highlights, similar to the color of a penny. If you have dark hair and dark features, keep your dark tresses but add a copper balayage. There is never a season when black hair isn’t in. But spring 2019 will bring more black-haired goddesses than you think. That’s because the goth look is in! But don’t think that black hair dye will make you look spooky. You can opt for a softer and natural black, very Kardashian-style. Black hair is also ideal for everyone of all skin colors and all features. Black pairs perfectly with darker-skinned people with dark features, but black also looks stunning with pale skin and light colored eyes. Black hair is more versatile than you think. You can add in highlights such as blue and purple for a more stunning look. On the opposite end of the spectrum, creamy blonde is also a huge trend for spring 2019. Creamy blonde combines the “wow” factor of platinum blonde with a not-so-high-maintenance strategy for keeping up the color. Creamy blonde combines white-blonde tresses with darker honey blonde. The look has many dimensions, creating a “creamy” effect. Are you too lazy to let your natural color grow out? Are you sick of visiting the salon every month to cover up your natural hair color? Ask the stylist to blend your roots and be done with the salon for the whole spring season! Blended roots create a dimensional and unique hair color that’s low-maintenance and affordable. The best part — there are no rules! Are you a natural brunette who dyes your hair blonde? Blend your dark roots in your light hair! Are you a natural redhead with black hair? Blend those red roots into your black tresses! And blondes who dye their hair brown — same thing! Spring hair color combines the best of summer’s blonde waves and winter’s darker hues. Can’t decide which one? Choose periwinkle! Periwinkle isn’t as much of a hair color as it is a technique. Periwinkle combines multiple different colors, resulting in a holographic look. You can go crazy with your periwinkle hair, combining crazy colors like purple or blue. Or you can be subtle and combine shades such as red, orange, pink and blonde. Cold brew was a trending hair color for fall 2018 and it’s re-emerging for spring 2019! Cold brew is exactly what it looks like — creamy cold brew coffee. The color combines dark brown with a medium, copper brown. The result is black coffee mixed with cream-and-sugar iced coffee. There are many ways you can mix these colors. The copper tones look beautiful as highlights or streaks. You can also opt for an ombre with either color on top and bottom. Are You Looking for a New Salon? 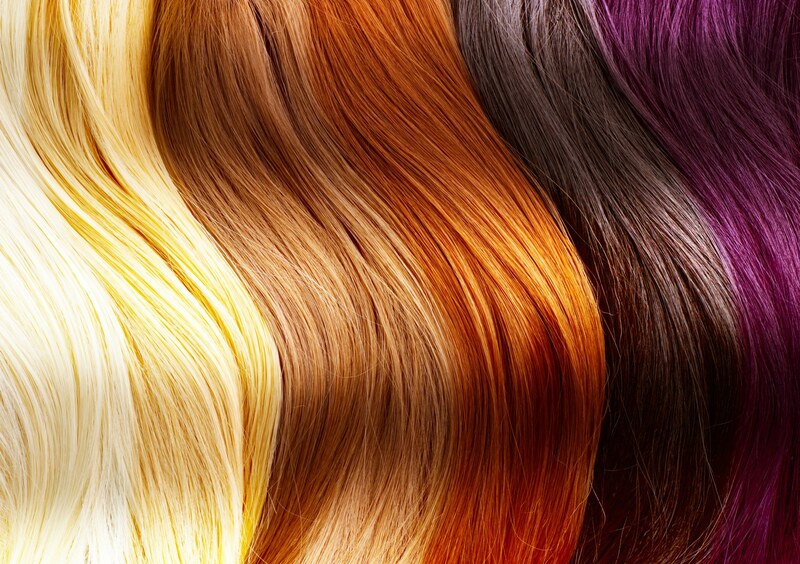 In order to achieve one of these best hair colors, you need the best hairstylist on your side. If you’re based in Norwalk, CT, contact us and set an appointment. Copyright © 2019 Shear Genius Salon. All Rights Reserved.